Even those of us over 40 who can distinctly remember a time before personal computers, let alone internet, can barely imagine living in such a world now. We have all become dependent on and grateful for the technology at our fingertips. For a busy, single adult, online dating is a wonderful boon! You can locate singles in your area with the click of a button or two, and get started finding your ideal match. But be smart and stay safe. I want to give you some over 40 dating advice for savvy online dating. 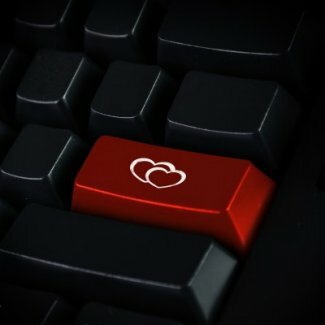 First: before you start your online quest for love, it is absolutely essential that you protect your computer from hackers and scammers. Set up a new email account for online dating that is separate from all personal and work accounts. Do not include your real name in the email address you use on dating sites. Be sure any automatic signatures are disabled. These simple precautions will help keep your identity secret and thus prevent someone from harassing you should you decide to end contact. Not only that, but strong passwords and protected personal information keep scammers and hackers at bay. You do not want your personal information in the hands of identity thieves or potential stalkers. Don’t make your inbox an outbox for shady characters out there! Most email providers ask you to choose one or two security questions when you set up your email address. These security questions are to help you reset your password if you forget it. This procedure protects your info and inbox as well. Not to alarm you too much, but according to a recent Huffington Post article, identity theft is the fastest rising reported crime in the United States, by a long mile. Their research indicates the best thing to do is prepare for “the inevitability of victimization.” It’s a question of when, not if. In addition to the above precautions, I suggest that you sign up for credit protection from a company such as Equifax and your check credit scores regularly for any red flags. So, now you have a safe email address. How do you create an online dating profile with safety in mind? When you are creating your profile, the key is: do not reveal more information than necessary. You can mention what you do for a living, but don’t give the name of your employer. Go ahead and say that you have a kid in college, but don’t say where. Feel free to explain your favorite activities, but don’t tell the world where you can be found at ten o’clock every Saturday morning. Keep personal details personal. Secondly, never give away your contact information. If someone gives you his or her personal email address or phone number you are not obliged to use it, nor to reciprocate. The rule of thumb is to communicate through the online dating service. For example, the easiest and cheapest way to communicate in real time is to use online instant messaging and chat services. Most sites have IM, or instant messaging, options for what is essentially texting in real time on your computer. You can also have conversations via your online dating site’s “phone call” service. You will need to purchase a microphone and a set of headphones for your computer, but it is worth it for unlimited and safe chat time. Here’s the basics: you can log onto Private Phone to get your very own disposable number. When you are signed up online, you select your private number by state (you can pick any state) and record a greeting. When someone calls that number it will go directly to voicemail–it will never ring through to you. An email or text alert will notify you that there is a message, which you can access over the phone or via internet. Just remember that when you return calls, block your number and avoid using your home or work landline. How do photographs fit into playing it safe with online dating? For one thing, don’t post pictures of yourself in front of your house, or with your address showing. That seems obvious, but we often look at pictures to see how great we look and don’t even notice our surroundings! Use setting-neutral pictures–with backgrounds that either are unidentifiable or that don’t make you identifiable. A restaurant in Chicago is a pretty safe bet, but the store where you shop daily or the office building where you work are best avoided. As for your potential dates, be suspicious if they have not posted any photos. Also, ask for a series of photos from different times in your online dating partner’s life. Not only will that build a better understanding of who they are, it will also ensure that the photo posted is legitimate! Be wary of someone who claims to have only one photo. Everyone but scammers has old photos! You want to be sure you are talking to a real person with a real life, not a false profile set up for the purpose of hacking, scamming and generally taking advantage. There is one more risk factor to be aware of: the “not so single” online dating prospect. You should be leery if someone can only talk at odd or specified times, talks in hushed tones or cuts conversations short by saying, “Sorry, gotta go”. This person might not be as available as you think. I don’t mean to scare you. Online dating is a wonderful resource for potentially meeting the person of your dreams. Be grateful for the resource, but use it wisely. Keep your heart open, but your personal details locked away, at least at first. At some point, when you meet, start dating, and find you want to pursue a relationship, you will start to feel trust and open yourself. But until then, it is always smart to put safety first. As always, I’m available to help you find your true love and build a relationship that lasts. Here is my personal online scheduler to get your 30 minute Free “Getting It Right” strategy session. Let’s get started today!